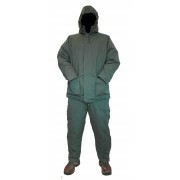 BenelleAll Weather Thermal 100% Waterproof and Windproof Two Piece Suit. High quality tailored suits completely sealed to be both wind and waterproof. Thermal quilted lining provides insulation,except for the last 12” on each leg. 3/4 Length Jacket. - Two external pockets with velco overflap..
Benelle Benelle Carp 'Soft Touch Peach' Waterproof 2 Pce Suits Jacket Bib & Brace Sizes Small-King These quality Deluxe tailored suits are 100% waterproof and windproof, they have a 'PEACH MICROFIBRE PVC COATING' giving you a soft feel outer with taped seams, thermal padded warm touch lining ..
Benelle Convert Waterproof Fishing Jacket-Waistcoat Sizes SMALL-XXXL High quality tailored jackets completely sealed to be both wind and waterproof. This Waterproof Jacket can quickly 'CONVERT' in to a Waistcoat by simply zipping off the arms. 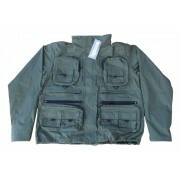 Making it an all-round universal fishing jacket..
Bug Repellent Short Sleeve Camo T-Shirt. 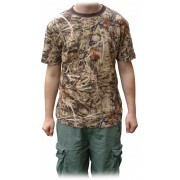 This short sleeve camouflage T-shirt is fully treated with insect repellent (repels mosquito's, midges ect.) to ensure maximum comfort - No more being distracted by irritating mozzi's or midges! Comes in various sizes. 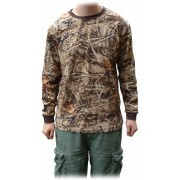 ..
BugOff Repellent Camo Long Sleeve T-Shirt. This long sleeve camouflage t-shirt is fully treated with insect repellent (repels mosquitos, midges etc) to ensure maximum comfort - No more being distracted by irritating mozzi's or midges! Comes in various sizes. Short sleeve version also availa..
Little Hotties Toe Warmers Box of 30 Pairs. 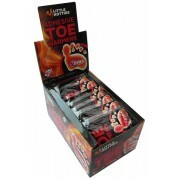 Little hotties Toe warmers are an odorless, environmentally safe heat source that provide warmth and comfort in all cold conditions. Avarage activated temperatures is 135oF (57oC). Upto 5 hours of heat. 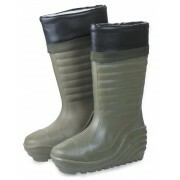 Little Hotties can be used by fishermen,&nb..
MDI Thermal Boots with Removable Thermal Liner. Super warm insulated thermal boots, keep your feet warm while fishing. These boots have been tested in temperatures to below 40 degrees. 100% PVC and rubber, moss green colour with black trim. Removeable thermal liner. Insulated foot 100% Water..